With Altus being a relatively newer product to the cannabis market it may be one to get overlooked. However, that’s where you make the mistake because Altus offers a variety of awesome products that fit a wide spectrum of cannabis users. Specifically, the ones who enjoy edibles or pills as a delivery method when it comes to enjoying cannabis. 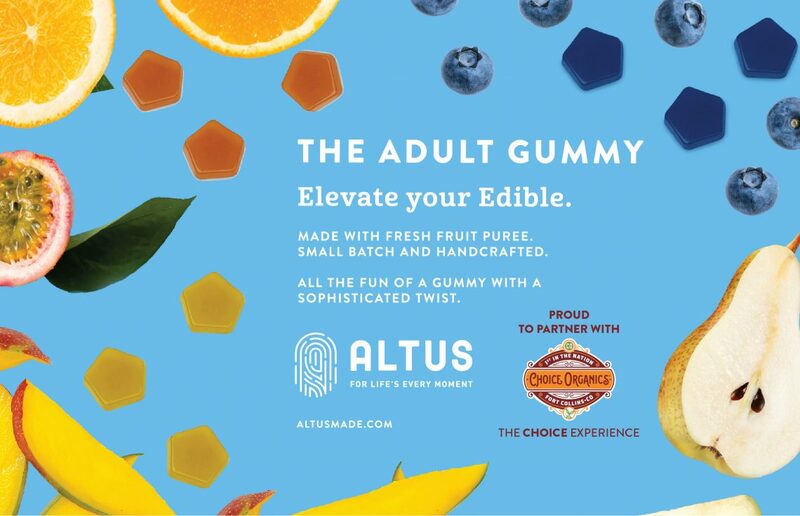 Below I’ll touch on both the gummies and pills that Altus has to offer and give a broad overview of what my experience has been with them. Offering a Citrus Sativa, Juicy Pear Indica, and a Blueberry Acai 1:1 THC/CBD gummies there is surely one that will fit your needs. I personally love the Juicy Pear indica because it lives up to the indica trademark of being “in the couch,” after consumption. This gummy effects hit me within 30 minutes of consuming which is faster than some of the other edible products on the market (I’ve seen anywhere between 45 minutes to a couple of hours with others I have tried) which was a nice surprise. There were no significant dips in the high and it stayed consistent throughout which is always important in a product. Very uplifting mood from the gummy and the high lasted over 12 hours so be aware of that when consuming (this will vary from person to person). All in all a great product and would recommend to anyone who enjoys gummies to give a shot because I don’t think you will be disappointed. 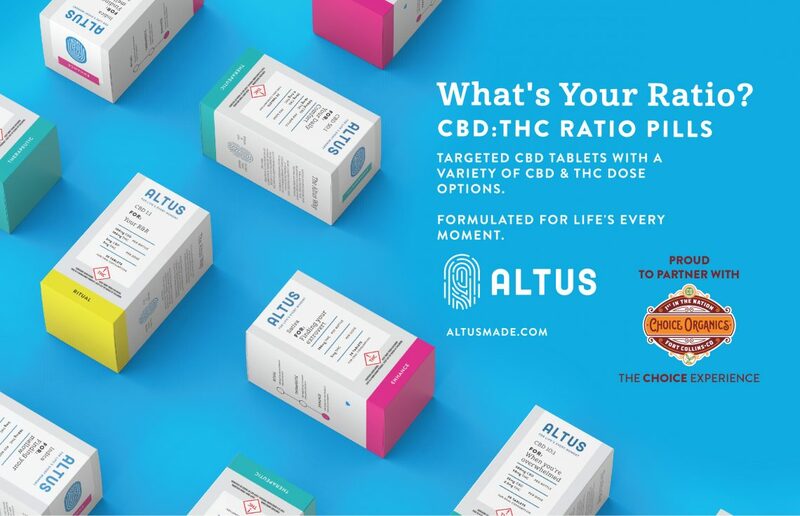 With a large variety of cannabis-infused pill offerings, Altus does not disappoint in this category. With three options to choose from, each offers different dosages of CBD and THC. There is Ritual, which is a 1:1 ratio of CBD to THC (5mg CBD and THC) and then there is Therapeutic, which comes in two varieties, one being a 5:1 ratio (5mg THC and 25mg CBD) and a 10:1 ratio (2.5mg THC and 25mg CBD). Of the three options, my go to is the 5:1 ratio of Therapeutic. I’ve recently been dealing with a shoulder injury and the pain at times is quite unbearable. However, I decided to give the 5:1 Altus pills a shot because I’ve seen products in the past that have worked relatively well when they have a combination of THC and CBD. With this being 5mg of THC and 25mg of CBD I was hoping it would increase the pain relief effects with the high dosage of CBD. Let’s just say I was not disappointed. It went from barely being able to lift a glass of water to having full movement. Plus side too, I was able to get a full night sleep without tossing and turning in pain which is a huge relief because the lack of sleep from pain was getting a little old. Definitely a product I will continue to utilize, especially with Kickboxing and long distance running being a part of my everyday life.